A levels and alternatives to A level looks in some detail at the key similarities and differences between A levels and their main rivals, the International Baccalaureate Diploma (IB) and the Cambridge Pre-U Diploma (Pre-U). 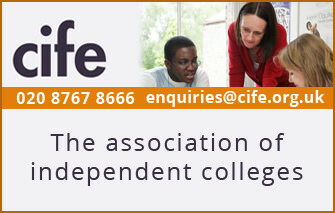 The article was written by James Wardrobe, former CIFE college Principal, and was updated in 2018 to include recent changes to A level. After the 'Introduction' this article is divided into sections. 'History and Purpose' describes how the qualifications originated and what they aim to do. 'Subjects and Structure' compares the subjects and levels offered, how the courses are structured, retake opportunities etc. 'Universities and UCAS' describes how the qualifications compare for university entrance and how each ties into the UCAS tariff system. The final section 'Availability and Alternatives' summarises how widely available these courses are, and mentions other university entrance routes. ust click on the + at the start of the orange boxes to show more information. Click - to close the box. Despite much change over the past 60 years, A levels continue to be trusted by universities both as a means of selecting capable students and as a foundation of knowledge and skills for starting a degree. University courses are themselves infinitely more diverse and flexible than they were in the past and A level has evolved into a less prescriptive and more flexible exam. Nevertheless, it remains “advanced” in the depth and scope of understanding required. It is an academic exam in the way that, for example, GCSEs are not. The system is also well-understood by employers. The IB Diploma was designed over 40 years ago as a school-leaving certificate with full international transferability and for many years now it has fulfilled that objective, including in the UK. It also offers breadth and depth in its syllabus, providing high-achieving generalists in particular with a challenging and rewarding programme of study. It is less suitable for academically weaker students. Cambridge Pre-U Diploma is very much “the new kid on the block”, but by all accounts so far it is fulfilling its primary role as a set of exams capable of stretching the top academic students. According to Dr Stephen Spurr, Head of highly selective Westminster School, it has opened up new learning opportunities for students. He stated that the Pre-U “was proving its worth” as a discriminator for top universities. However he also said that his school retains A levels in maths and science, although they have found that Pre-U is much more interesting, particularly in the humanities subjects (Daily Telegraph article 27 August 2011). What is clear is that this is not a course designed or appropriate for academically weaker students. The recent changes to A level and introduction of, for example, the Extended Project Qualification, have removed some of the Pre-U Diploma’s distinctive features. The three qualifications have evolved over differing periods of time from quite distinct origins and principles, but they are all regarded as meaningful and important indicators of academic achievement for university admission purposes. Advanced-level exams replaced the Higher School Certificate in 1951, and with various modifications over the years have remained the main qualification for university-bound school leavers in England, Wales and Northern Ireland. Traditionally a highly exclusive and rigid assessment mode aimed at the top 20% of the ability range, the evolution of A level from a two-year linear course with an exam at the end to a modular course (in which each subject is divided into several separately-examined parts) took place gradually between the late 80s and 2000. By the year 2000 there were strong educational reasons – not least the inefficiency of linear courses which up to 30% of students were failing to complete or pass – to standardise the exam and to offer greater breadth to students through modules. The A-level exam is in the final stages of reforms designed to make it more ‘rigorous’ and a better preparation for university. See ‘The new A-level and GCSE exams‘ for more on the reforms. The Extended Project Qualification (EPQ) has been taken on by an increasing number of colleges to extend their more able A-level students. Ever since their introduction, A levels have been associated with entry to higher education and this remains their most widely-used application. But over time they have also acquired a broader significance as a precursor to employment and as one strand in a qualifications framework which is designed to recognise the full range of advanced achievement of which young people are capable, from purely academic and theoretical learning through to the skills and knowledge associated with specific jobs. This trend was embodied in the Curriculum 2000 reforms which increased the flexibility of, and broadened the range of subjects and types of learning within, the A- level strand, for instance by establishing A levels in vocational subjects. The current reform of A levels is reducing some of that flexibility and breadth. Two of the UK exam boards offer ‘International A levels’ to schools outside the UK. These are modeled on UK A level, with some differences in content and examination (most notably retaining AS as a contributor to A level marks). Visit the OCR and Pearson websites for more information on International A level. The Cambridge Pre-U Diploma is a new post-16 qualification, first taught in 2008 in 50 UK schools and first examined in 2010. It was introduced by Cambridge International Examinations (CIE) as a response to concerns by many of the highly academic independent schools that A levels failed to differentiate at the top end of grading. A large proportion of their candidates were achieving A grades and it was felt that their highest achievers were not receiving proper recognition for their abilities. It is designed to report achievement in a way that helps universities in their selection of candidates (See section on UCAS below). Pre-U courses have a linear structure, which is similar to that of the new A-level system, with potential benefits over ‘modular’ courses of coherence and progression, the chance to reclaim teaching and learning time at the end of the first year, and to decide the order, pace and depth of teaching and learning most appropriate for students. The stated aim of the Pre-U qualification is to prepare learners with the skills and knowledge they need to make a success of their subsequent studies at university. It encourages the development of well-informed, open and independent-minded individuals. It promotes understanding through subject specialisation, with a depth and rigour appropriate to progression to higher education, and helps learners to acquire the skills of critical thinking, creativity, team working, independent learning and effective communication. It also endeavours to recognise a wide range of individual talents and interests. All three types of course are designed to be taught over two years, and are ‘linear’, culminating in terminal exams, (A-level recently reverted to linear examining). The IB is a more integrated course than the other qualifications, encompassing breadth and depth of study, but A levels and Pre-U offer more subject flexibility, no compulsory subjects and a greater opportunity for specialisation. With over 70 subjects available, A level offers a greater range than IB and Pre-U. No subjects are compulsory. Subjects can be combined to play to a student’s strengths, yielding either variety or specialisation. A levels have now changed back to a linear examinations, in which all components must be taken at once, at the end of the course. Prior to this A levels were a two-part module-based programme in which students took AS examinations counting for 50% of the A-level grade. AS still exists as an intermediate qualification in its own right, but no longer counts toward full A level. There’s no upper or lower limit to the number of A levels a student may take, but typically students do three A levels. 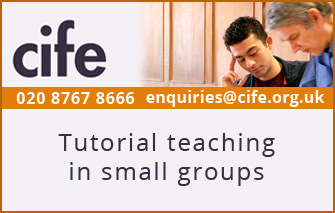 Subjects can be taken individually rather than as part of an over-arching qualification. An optional extended project (EPQ) can also be undertaken, which is a piece of research on a topic of the student’s own choice. It is equivalent to half an A level and gives an opportunity to develop as an independent learner and explore an academic passion. A levels can be taken alongside Pre-U subjects, and students who have done IB or pre-U can transfer to A-level courses if they want more retake options. The IB is designed as a broad and over-arching programme. Students are required to take six subject-courses and to cover three ‘core requirements’ which broaden the educational experience and challenge students to apply their knowledge and understanding. While IB offers a reasonable range of subjects, choice is restricted because the six subject-courses must include: English (in the UK), a foreign language, a humanities subject (‘Individuals and Societies’), a science, maths, an arts subject or an elective (which can be a second language, humanities or science). It is thus not possible to take an all-science or all-arts programme in the IB. Students rarely study single IB subjects on their own, and if they need to retake individual subjects, may find it easier to transfer to the equivalent A-level subject. Subject-courses may be taken at ‘Standard’ or ‘Higher’ level, according to a student’s interests and strengths. Three subjects are taken at ‘Standard’ level, three at ‘Higher’. a “Creativity, action, service” element which requires that students actively learn from the experience of doing real tasks beyond the classroom (150 hours). Students can combine all three components or do activities related to each one of them separately. A two-year course, assessed by exams at the end of the two years. Syllabuses can be taken separately and are graded individually, but all the exams are taken at the end of the course rather than as individual modules. Students must take at least three ‘principal subjects’ from a range of 27 for the full Diploma (see below). There is no restriction on choice of subjects. Although pre-U syllabuses share a lot of material with A-level ones, they are by no means identical! Attempting to cover pre-U and A level in the same class is not straightforward. Pre-U offers some ‘Short’ courses in subjects such as maths, though these do not reduce the requirement for three ‘principal subjects’. For the full Pre-U Diploma students must also complete an Independent Research Project and compile a Global Perspectives Portfolio, each of which is worth exactly half of a principal subject; thus their aggregate forms the equivalent of another principal subject. For more about Pre-U see Cambridge Pre-U – a guide for schools. All three programmes prepare students for university and are widely accepted by universities. Because they are most familiar with A levels, universities tend to express their requirements in terms of UCAS points which give a score for each A-level exam result. Grading systems for IB and pre-U are significantly different, but each is ‘translated’ into UCAS points. University offers are usually specified in terms of a total number of UCAS points to be gained, and may well also specify minimum results in particular subjects. 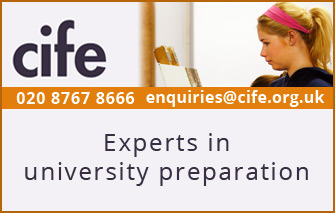 Recognised by all UK universities, and the A-level exam is also an internationally recognised qualification. (For example, if applying to university in Canada or USA a student will almost always receive credit for A-level qualifications). Grades translate into UCAS points: an A* is worth 140, an A 120 and so on. Offers from universities can be made either in points or by grade. Depending on the course applied for, a minimum grade may be required in a specific subject. Recognised by almost all universities both in the UK and internationally. Subjects are scored on points, with a 7 being the highest grade. The IB Diploma is awarded to students who gain at least 24 points overall, and the highest total that a Diploma Programme student can be awarded is 45 points (7 for each of the six subject-courses, and a maximum of 3 for the ‘core requirement’). Only 7% of students have ever received a 7 in any IB subject annually, making it more exclusive than an A* at A level. The UCAS tariff calculator shows how many UCAS points a given IB mark is ‘worth’. Depending on the university course applied for, a specific subject grade may be required. Students receive a separate grade for each subject. Grades are divided into three categories, Distinction, Merit and Pass, each of which is further sub-divided into three levels. The nine levels thus range from D1 (Distinction 1) at the top to Pass 3 (P3)at the bottom. The grades are benchmarked to A-level standards, with grade D2 (Distinction 2) equal to A* at A-level and D1 available at a higher level than is achievable at A-level. Grades equate to UCAS points, e.g. a D2 equals 145 UCAS points and a P3 is worth 46 UCAS points. No data available yet on non-UK universities, but this is unlikely to pose a problem since grades translate into UCAS points which are widely understood abroad. Despite recent criticism in the media, A levels remain the school-leaving qualification of choice by an extremely high margin for most schools and sixth-form students in England, Wales and Northern Ireland. 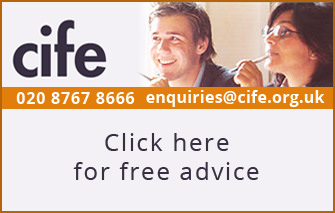 They are available in the vast majority of UK schools and sixth-form colleges. They are also available in some international schools abroad. Is offered by 216 British schools, of which almost two-thirds are state-funded. It is widely available in international schools abroad, in 140 countries. Worldwide there are 120,000 IB Diploma graduates each year. At the time this article was first written (October 2011) it was taught in 148 state and independent schools in the UK (45% state, 55% independent). Subject entries in 2016 were 13% up on 2015, but are still only a few thousand entries a year. Pre-U is not yet available abroad. Although this article focuses on UK university-facing qualifications there are a number of other options. Students who have taken ‘vocational’ qualifications (qualifications aimed primarily at preparation for a particular job) may use those qualifications to apply for university. The practicalities of doing so are complex: universities need to be sure that candidates are equipped with the right study skills and knowledge. People who want to return to study after some years working, or who want to top up a vocational qualification can do so via an ‘Access’ course. 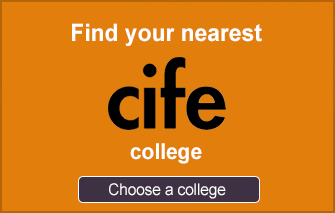 These are offered at a range of state colleges, often as part-time options. Arrangements for assessment and acceptance by universities depend on the college offering the course. 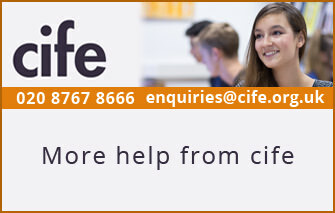 For more information look at the Access to Higher Education site. Although courses at A level etc are possible in Scotland, most Scottish schools follow programmes run by the Scottish Qualifications Authority (Advanced Highers, Highers, Intermediates, etc). SQA qualifications aren’t offered elsewhere.